Hendryx is very up front about what his study shows and doesn’t show. My experience shows him to be a very ethical and open scientist. But the fact that his study doesn’t prove causation isn’t unusual. That’s almost impossible to prove in this kind of setting. Science doesn’t work that way. His studies are very important, in my view as a reporter, at getting at the costs and benefits of this industry to Appalachian communities. Calling him “anti-mining” or whatever doesn’t advance the conversation one little bit. It’s just an effort by an industry supporter to brush off his findings — and it takes away from the rest of what Casey had to say, which I found interesting. And I again say — good for Casey for listening to the press conference and trying to hear what the scientists had to say. Trust me these scientist knew exactly what they were doing with this. It’s difficult to get the general public upset over mayflies, add the statement about the people dying and it adds “sizzle” to the report. I was, frankly, shocked when I learned that the coal companies regularly submit reports to the DEP in which the levels of pollutants (e.g. selenium) greatly exceed what’s allowed by their permits. Conclusion: the coal operators know, the DEP knows. The data goes into a file cabinet somewhere, figuratively speaking, and the companies consider it part of standard operating procedure. Well, the thing to do then is take the time and read Hendryx’s studies to understand them. They are not perfect. No study is. The newest study concedes that this work still has some limitations. “Despite the significant associations between coal-mining activity and both socio-economic disadvantage and premature mortality, it cannot be stated with certainty that coal-mining causes these problems,” the new study says. But let’s make sure discussion and criticism is based on what the study says and not incorrect statements about what it says. In addition … perhaps we should adopt a rule on Coal Tattoo where no one tries to assume someone else’s motives or what is in someone else’s mind — and instead we start out assuming folks we disagree with don’t have hidden motives and agendas? Would that be too much to ask? I could be wrong. Ken, my statements or maybe it is opinion regarding Dr. Hendryx’s anti-coal bias was concluded from his on-line chat regarding his study back in June or July. I think any reasonable person would reach this conclusion after reading this discussion. My statement does not derive from his study itself. This is coming from a social scientist with degrees in psychology. I was wrong to assume the “nations top scientists” (sound like a term from an Austin Powers movie”) had a motive for including the unsupported statement regarding loss of human life. That’s just the skeptic in me. PS: I think that you always have to consider the source but be open-sided enough also to actually listen to what is being said. I definitely agree that the tendency is only to consider the source and dismiss the information if it is contrary to one’s opinion. Your request will be tough for all to comply. I would not question that Hendryx has been a straight shooter about his results. But it may not be quite accurate to say categorically that evidence showing causal relationships can’t be developed in demographic/epidemiological studies. I work regularly with demographic/epidemiological studies that show causal relationships between toxic exposure and health outcomes. As I understand it, asociational findings often lead to investigations whose findings can help prove (or disprove) causal relationships. Anyhow, what’s the bottom line here? Are we talking about the likely fact, found by Hendryx, that people in coalfield communities on average tend to be sicker and live shorter lives — and what that means in terms of fairness and broad public policy? If so, then we are facing a tragic fact that puts the lie to the Pollyannish pro-coal boosterism of some. To me, such tragic facts cry out for justice; and go to the overall balance of negatives and positives involved in having coal mining in a community. Or, are we talking about the different and much narrower issue of evidence-based public health policy? If so, then is it true that the data do not exclude the reasonable possibility that neither (1) immediately ending all forms of coal mining activity in WV or MTR mining in Southern WV — or alternatively, (2) doubling that activity — would have much of an independent effect on morbidity in coalfields communities, in the short or medium term, — except as a result of migration, etc.? Maybe Professor Hendryx will respond on this blog. That would be cool! T. Rodd, I’m not smart enough to address your latest post but I did agree with your thoughts regarding injuries in different school systems throughout the state. I wonder if this mentality can be related in part to an explanation of Hendryx”s findings. Why doesn’t someone do a study showing the connection between coal mining and starvation and hypothermia? When the “scientists” get mining banned cancer and diabetes will be the least of our worries. Casey, I’m afraid your last post may be just a nice way of saying I did not express myself very clearly. I plead guilty, will try harder! Olly, do you suggest that areas without mountaintop removal (or without coal mining, as you asserted) have a higher incidence of starvation and hypothermia? I think that you’re not comparing apples and oranges: you’re comparing apples and butterflies. If your contention is that areas without coal mining have a lower standard of living (starving and freezing), the Appalachian Regional Commission’s maps of distressed counties would contradict you. Contrary to what it seems you’re suggesting, the most distressed counties correlate strongly with coal extraction. The interesting thing in all of this to me is that these scientists are doing something that scientists rarely do, and that is risk getting into the middle of a policy debate. Good for them, and its about time. I am hearing more and more of grumbling in the scientific community about how the research is being ignored by the regulators, and I expect that this will prove to be the tip of the iceberg. And yes, by God, we will sue them if it comes to it. As I have said many times before, the coal companies and government agencies are breaking the law. Jan 8 (Charleston, WV) – FACES of Coal, an organization of more than 40,000 people who support coal jobs and communities in Appalachia, disputes an article published in the journal Science today that makes unsubstantiated accusations about surface and mountaintop mining practices in Appalachia. The article, which does not include any new information, appears to be a collection of previously released materials offering conclusions and conjecture based on the opinion of the article’s authors. 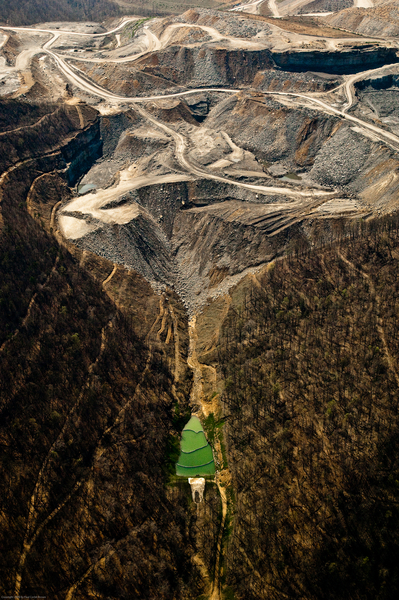 Prior studies, including a 5000-page Environmental Impact Study on mountaintop mining in Appalachia, did not reach the same conclusions as the Science article, in which the authors call for an end to mountaintop mining. The Federation for American Coal, Energy and Security (FACES of Coal) is an alliance of more than 40,000 people from all walks of life who are joining forces to educate lawmakers and the general public about the importance of coal and coal mining to our local and national economies and to our nation’s energy security. In addition to keeping tens of thousands of people employed in good-paying jobs, coal is the lifeblood of our domestic energy supply, generating nearly half the electricity consumed in the United States today. Just one quick comment. I have looked at, but admittedly not read, the Palmer piece in Science. I think that everyone should understand that this piece is in the Policy Forum of the magazine. Yes, Science is a wonderful journal, and yes, there are peer-reviewed pieces in it, but a two page article in the policy section is not the same as a full fledged scientific paper in something like JNABS or AFS. I am sure Dr. Palmer decided to publish in Science so that she could reach a much wider audience than she would have in the aforementioned publications, but frankly, she has knocked herself down a knotch in my view, as far as credibility is concerned. Why go for the splash and glam if you are a serious scientist? Why not put the data in a real peer-review forum and then let the data speak for you? Or is she afraid of the review process that would be a part of those more “academic” journals. Hmmmmm…… I guess we will just have to wait and see. OH, one other thing…. Those of you arguing about mining and health, you need to read the article on the front page of last Sunday’s gazette. let’s not confuse people — yes, this is the policy forum section of Science. But, the article was peer reviewed, as are all articles in that section of the journal. And, Dr. Palmer made clear yesterday that this particular article went through a more rigorous peer review than another of the other 150 journal articles she’s published in her career. You’re welcome to your OPINION about the Policy Forum section of Science … but everyone else should know the facts. Isn’t FACES of Coal the same group that bought photos for their front group online, and are there actually 40,000 people who ACTUALLY belong to this front group? Can they prove that number? If I am wrong about this I apologize, but I saw something on tv about this group not to long ago and it didn’t make them appear to be what they claim. you can’t possibly be serious. Margaret Palmer has published in Ecology, Ecological Applications, every single stream restoration and ecological restoration journal, Nature, Science, Bioscience, Ecosystems, JNABS, Freshwater Biology, TREE, on and on and on. What kind of “splash and glam” are you talking about? One more Science paper? That’s hardly splash and glam. The one journal I see missing from a cursory peek at her CV is PNAS, if she was glory hunting for some sort of 80 journal hat trick wouldn’t that be the obvious choice? As others pointed out, this is mostly a review paper. As such, it cites many previous peer reviewed sources of the data on MTR/VF effects. Not sure what more you could possibly want, except perhaps for regulators to actually read the science and stop lip syncing it, badly (cue Randy Huffman talking about “certain genus of mayflies”). Wayback in the posts, someone suggested that the data from WVDEP was from mining/monitoring data provided by mining companies themselves. As indicated in the paper this data was from WVDEP’s Water and Waste Management section which runs its own monitoring programs (see http://www.dep.wv.gov/WWE/watershed/wqmonitoring/Pages/default.aspx ). All of the data that comes in from the mining companies goes to the Division of Mining. Also, during the press conference, the point was made that this data reflected what was going on far downstream of the mining and not what was discharging from the permits (which also indicates that it was not mining company data since their data is mainly focused on what is discharging immediately downstream of the fills). Secondly, while this paper was mainly a review of previous research and literature, the analysis of the WVDEP data is new (save for the precursory, non-peer reviewed “white paper” that was submitted to the U.S. Senate Subcommittee hearing by Palmer back in June) and does add something to the body of scientific evidence. mayflyguy — Thank you for clarifying the water analysis data source. I believe that was my comment and I was confused on that point by what I heard one of the authors say during the press conference and/or HORN interview. I’m glad to get that straight. That does make more sense as the authors were stressing that the effects there were talking about were far downstream of mining activities, not at the point of disturbance. That was one of their key points as to why mitigation/reclamation does not work–even if there was some way to return all of the disturbed material back exactly the way it was before, it wouldn’t repair the downstream damage. To avoid downstream damage to begin with, you’d have to have extensive onsite water treatment facilities and strict enforcement–stopping the mining, not just after the fact fines–when operations where found to be outside of guidelines. It may well be that things that were okay for the very first permit are not okay now because of the cumulative impacts. This is something FACES of Coal fails to acknowledge whatsoever. Hey Nanette: I am sure the Faces of Coal can come up with pictures of 40,000 people to prove their numbers. I’m not sure if I have this correct but I thought Burnhardt stated that they ASSUMED that all of the increased sulfates and minerals in the water, and the decrease in invertebrates was ENTIRELY from mining. I also thought she said that more studies were needed including on this as well as on the cumulative effects. I thought it interesting that she said the impacts persist for decades which indicates that recovery occurs. Casey- I would have to go back and listen to that portion of the press conference again, but I do remember that Sulfates were used as a proxy for mining disturbance (the higher Sulfates correlated with increased mining disturbance) since there are currently no data that consistently quantifies the extent of the mining other than permit boundaries (which has flaws since those boundaries may reflect what will be mined but is still intact, yes?). One could run a statistical test (PCA?) that would analyze all of the stressors experiened at each of the sampling locations and determine which stressors best explain the biological endpoint. I am not sure if they did this (I still have to fully read the paper). And no one would ever object to more study so long as it is peer reviewed. “I thought it interesting that she said the impacts persist for decades which indicates that recovery occurs.” I am not quite sure about what you mean by this. I remember the first part of this statement, but do not understand how you came to the second part. What am I forgetting or missing? I’m intrigued by the aerial photo taken by Paul Corbit Brown @ the beginning of the blog – where was this taken? What is the green area @ the toe of the VF? Someone mentioned fresh hydro-seeding but I don’t think so….If it was the first benches of the VF after the toe had been established it almost looks inverted…One would think there should be a settlement control structure (pond) in this area but this thing looks strange to me…..Anyone else agree?…Just curious ’cause I’ll be darned if I can figure it out…. Ken, and Friends of Coal Tattoo, I am shocked, although I should not be, at the dismissive attitude of Faces of Coal. It shows a complete lack of understanding of peer review. I would think that this would hurt their efforts although I could be wrong, since it is not likely to make one who is uncertain on the issue of mtr, say ” wow Faces of Coal is correct and the science is wrong”. Science weeds out bad theories, and so far science is weeding out the theory that mtr causes no great harm and not the other way around. By publishing this the ball is now in the court of those that believe mtr does not cause the affect claimed. If there is no response one can assume the thoery is correct or so close as not to be worth challenging. In an area of little consequence one could maybe assume that no one cared enough to challenge it, but in this case there is a lot at stake and a lack of challenge will be an admission that the theory is correct. …… I guess it is a pond although his caption said it is for “flood control” which erroneous…Looks like the color has been edited in the photo attached to the blog…. Vnxq809, The green area in the photo is water in a sediment pond brlow the valley fill. If you zoom in on it you can see the water coming over the spillway. The water stands out so much because of time of year the photo was taken, during the winter months. I have read a great deal of Dr. Hendryx study. The data was collected through telephone interviews with residents who self reported their physical ailments. Now, I’m sure he did this because getting permission from the residents to review their actual health records would be very difficult, and then following up by obtaining the actual medical records of those people would be very time consuming. Nor did the study mention calling communities that had no mining activity at all as a control mechanism to set a benchmark. Because of these factors, I don’t have full confidence in his study. I have not had a chance to read Dr. Palmer’s study. I need to correct myself. I read the synopsis, not the study. After reading the actual paper, Dr. Hendryx did include counties that had no mining. The synopsis of the study stated that they conducted telephone interviews, but the actual study doesn’t reference that. It only cites mortality data collected by other entities. But there are references to other studies, so maybe that’s where the writers of the abstract got that. I guess my point would be that I would like to see someone research actual health-related connections. Get the medical records that confirm the statements about the health effects because I know of LOTS of people with the same health conditions that are cited in these studies that can’t be blamed on mining becase we don’t live near any. When the state as a whole is ranked number 1 or 2 in obesity and number 1 in heart disease, it’s hard to buy into the idea that it is caused by mining. Mayflyguy, I was only trying to point out that she stated that the (water quality) impacts persist for decades and that she did not say that the impacts persist in perpetuity. All land uses have negative impacts to the environment and many are in perpetuity (probably so unless mankind ceases to exist and nature reclaims). I’m not saying that temporary impacts are great and should not be addressed but it may not be as extensively bad as some argue and suggest. Same goes for some of the other studies cited regarding post mining biomass, soils and flooding. Techniques have been studied using rough grading and less grasses that result in substantially improved forest growth and quicker “soils” generation, which in turn would help to reduce any increased flooding impacts. It is interesting that comments on the article point out how unusual it was that the scientists went on to recommend a ban on MTM to the politicians. You wonder if some bias might cause that but it is an article published in a respected journal and has undergone peer-review. It would be interesting to see the comments made by the reviewers and what shortfalls noted were not incorporated in the final piece as determined by the journal’s editor. Casey — If you haven’t had a chance yet, I highly recommend listening to the press conference and to the HORN interview with the researchers. The research team make it quite clear that the impacts of MTR are irreversible based on any known methods of mitigation or reclamation. For starters, once you bury a stream with valley fill, that stream is gone forever. That is permanent damage with an effective in perpetuity. Now, you can quibble a little bit to say that *eventually* nature takes it course and things return back to a functioning eco-system similar to the one we found before any disturbance. The closest comment I heard from the researchers was (IIRC) a comment that it would 10,000 years for that to happen. Even if the site itself is restored to some closer functioning (for things like biomass), there is still the problem of downstream impacts during the mining. We don’t have a solution for cleaning that up yet. Still, all of this is worth more study and we should be investing a lot more efforts into repairing the land we’ve already disturbed to reduce the negative effects for the future. Clem, I did listen to the press conference and took notes, and that is the basis of my comments regarding water impacts. I’m just wondering if the adverse chemical reactions with disturbed earth have a time limit as the newly exposed rock surfaces are “exhausted” in the ability to produce adverse minerals. Just saying 20 years of impacts is not as bad as forever. I agree with the obvious permanent impact to burying a stream that it ceases to exist. The 10,000 years comment concerned the recreation of soils only and so my comment regarding rough grading for a better root medium and perhaps quicker soil creation (coupled with some selective handling). The press conference stated water quality impact lasts for decades, soil regeneration takes up to 10,000 years, and at 60 years forest biomass is at 77%. Thanks. When it comes to toxic acid mine drainage from sulfur-containing rubble and overburden, the “time frame” is pretty well understood to be thousands of years, following a gradually declining curve. Regulators treat it as essentially perpetual. What is the oldest MTM, or even large scale surface mine (i.e. involving valley fills that we could study to understand the duration water quality impacts? Mayflyguy, Cannelton did some of the earliest valley fills as well as some Amherst mining on the south side of Buffalo Creek. Also I’m sure there are fills from road construction that are old. Casey are you familiar with the sites in Ohio that have been studied since the 50s? A series of several research articles in Water Resources Research has evaluated the trajectory of various hydrological parameters post-reclamation. I’m not sure where they are but I think there was some sort of USFS, OSM and university cooperative effort to establish experimental plots. I am not certain about the details but I’ll look over those papers and see if I can find where these things are. The lack of reference reaches or watersheds makes comparative studies difficult in some areas, including southern WV, where very few unmined watersheds exist. Doing a little research… how about this “peer reviwed” article in Science magazine!!!! Concerned Miner — Did you actually leaf through your back issues of Science magazine to find that reference? I wouldn’t count on the factually challenged George Will to provide the straight dope about what’s in other magazines–his track record on covering science issues is pretty poor. 6) It is concluded that changes in the earth’s orbital geometry are the fundamental cause of the succession of Quaternary ice ages. 7) A model of future climate based on the observed orbital-climate relationships, but ignoring anthropogenic effects, predicts that the long-term trend over the next sevem thousand years is toward extensive Northern Hemisphere glaciation. Not sure that says what you want it to say. But I’m not sure what that is either! Thanks, Jason. I’m not sure either–but your excerpt of the abstract plus this description of Quaternary glaciation http://en.wikipedia.org/wiki/Quaternary_glaciation backs up what Media Matters said about the study. It’s interesting that when those of us who don’t buy into the global warming BS talk about cooling trends in the over the past several years we are told we need to look at very long term trends, perhaps geologic time trends. When I point out a “peer reviewed” article that warns of a new ice age, it is dismissed because it addressed only long term trends. no one is dismissing anything, and especially not because it addresses only long term trends, CM. Rather, this article explicitly ignores the very effects we are discussing, namely the strong evidence from remote sensing and simple gas physics that CO2 concentration is increasing with global average temperature. “cooling trends” that ignore the fact that the ocean continues to accumulate heat simply deny the evidence. Climate science as we know it today did not exist in the 1960s and 1970s. The integrated enterprise embodied in the Nobel Prizewinning work of the Intergovernmental Panel on Climate Change existed then as separate threads of research pursued by isolated groups of scientists. Atmospheric chemists and modelers grappled with the measurement of changes in carbon dioxide and atmospheric gases, and the changes in climate that might result. Meanwhile, geologists and paleoclimate researchers tried to understand when Earth slipped into and out of ice ages, and why. An enduring popular myth suggests that in the 1970s the climate science community was predicting “global cooling” and an “imminent” ice age, an observation frequently used by those who would undermine what climate scientists say today about the prospect of global warming. A review of the literature suggests that, on the contrary, greenhouse warming even then dominated scientists’ thinking as being one of the most important forces shaping Earth’s climate on human time scales. More importantly than showing the falsehood of the myth, this review describes how scientists of the time built the foundation on which the cohesive enterprise of modern climate science now rests. Also of importance here … it’s easy to pull out just one scientific paper on any topic and say — see, this supports my view. That is actually one strength of the Science paper that Margaret Palmer and others have provided on mountaintop removal. The NMA and others in the industry may want to criticize it for not providing “new” research (even though it actually does). But a literature review like this goes out and looks at all of the other peer reviewed papers and tries to explain what they are adding up to.